How a Book started the world's first Modern Environmental Movement? Silent Spring, published in 1962, galvanized a whole nation, started the environmental revolution and brought upon the ban of one of the most valuable chemical ever, DDT. Once nicknamed as a "miracle weapon" against insect-borne diseases, in the 1950's DDT was extensively promoted by the US government and industry for use as an agricultural and household pesticide. Author Kevin Ashton, speaks about what led to the coining of "The Internet of Things" in his book "How to Fly a Horse: The Secret History of Creation, Invention and Discovery". A popular shade of lipstick by P&G was not being adequately restocked on store shelves. Half of the stores were out of stock at any given point of time and it was the customers who were noticing it and either buying another shade or leaving the store without buying it. When Arthur T Demoulas, the CEO of Demoulas Supermarkets was sacked by the Board in June 2014, the company was stunned when the employees went on strike to demand his reinstatement. What was even more shocking was when even the customers started boycotting the store in support of the CEO and suppliers stopped restocking the stores. What then makes employees, customers and even suppliers so loyal to a CEO in an age when only money rules. The CEO, Arthur T. Demoulas was perceived as a father figure. He was known for his ability to remember his employees' names, birthdays and milestones. He is also known to check on ill employees and asking about spouses and children of his workers. Teenagers, ages 12–17, report using phones to text message in their daily lives more than any other form of communication, including face-to-face socializing. The extensive time that children and teenagers engage with media and communicate using screens may be taking time away from face-to-face communication and some in-person activities. A field experiment examined whether increasing opportunities for face-to-face interaction while eliminating the use of screen-based media and communication tools improved nonverbal emotion–cue recognition in preteens. Fifty-one preteens spent five days at an overnight nature camp where television, computers and mobile phones were not allowed; this group was compared with school-based matched controls (n = 54) that retained usual media practices. Both groups took pre- and post-tests that required participants to infer emotional states from photographs of facial expressions and videotaped scenes with verbal cues removed. In his book "Reclaiming conversation: The Power of Talk in a Digital Age", author Sherry Turkle writes about how communication between youngsters is changing dramatically because of Technology. She cites an example of a short film where a girl does not have her phone for a day and she observes the behavior of people around her. When Nobel laureate Economist Milton Friedman was consulting with an Asian nation government in the 1960s he visited a site of a large scale public works project and found workers shoveling but not using any heavy equipment like bull dozers, tractors or heavy equipment. On enquiring he was told that the purpose of the project was to provide jobs. To which he drly remarked "Why don't you give worker's spoons instead of shovels?" In the book "Rise of the Robots: Technology and the threat of a jobless future" the author cites this story and also speaks about the looming threat of a jobless future with advancement of technology creating a jobless future. 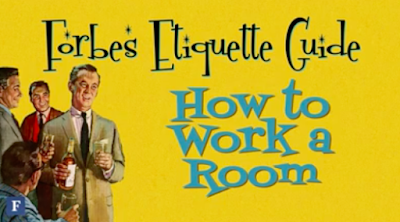 This HBR video speaks about a framework to lead a better and fulfilling life. It emphasizes that one should strive for excellence in all domains and not just in one. 1. Work with more rather than less information. A healthy supply of information can switch the focus from guesses & personal opinions to a debate on hard facts. 4. Inject Humour. It releases tension and promotes collaboration. 5. Maintain a balanced corporate power structure. Planning poker is a consensus-based, gamified technique mostly used to estimate effort or relative size of development goals in software development. In planning poker, members of the group make estimates by playing numbered cards face-down to the table, instead of speaking them aloud. The cards are revealed, and the estimates are then discussed. By hiding the figures in this way, the group can avoid the cognitive bias of anchoring, where the first number spoken aloud sets a precedent for subsequent estimates. src Wikipedia. It is also called Scrum poker. Planning poker is based on a list of features to be delivered, several copies of a deck of cards and optionally, an egg timer that can be used to limit time spent in discussion of each item. At the estimation meeting, each estimator is given one deck of the cards. All decks have identical sets of cards in them. 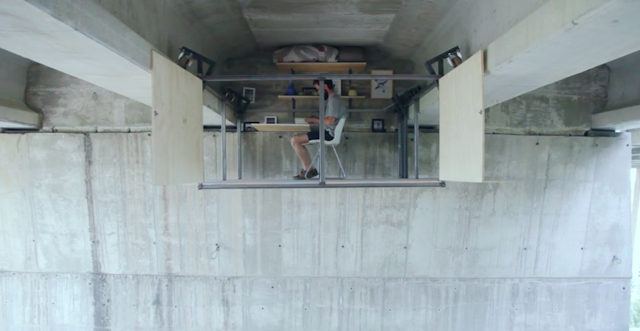 This designer Fernando Abellanas built a secret studio beneath a bridge in Valencia, Spain. This story talks about how an Entrepreneur started a paint shop but nobody would buy from his store. In the evenings he used to hang out with mechanics and body shop owners and over the course of time figure out that their biggest problem was wasted paint in body touch-ups. As the minimum paint can was of 500ml a lot of it would get wasted during small touch up works. He then pioneered the concept of packaging paint in small cigarette tin boxes (125ml) and thus the CT (cigarette tin) measure was born in Mangalore.